Actually, there is a difference between the the original Model 50 and the 50Z: After some time, customers started to quarrel about the 50's low performance and about its 20MB MFM hard drive. 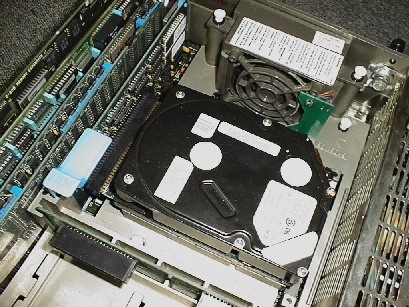 It 'featured' an average access time of 85 ms which was slow even then - the 'standard' 20 Mbyte Seagate ST-225 drive used by most Noname clones at that time had 65 ms, and drives with 28 ms were already available. 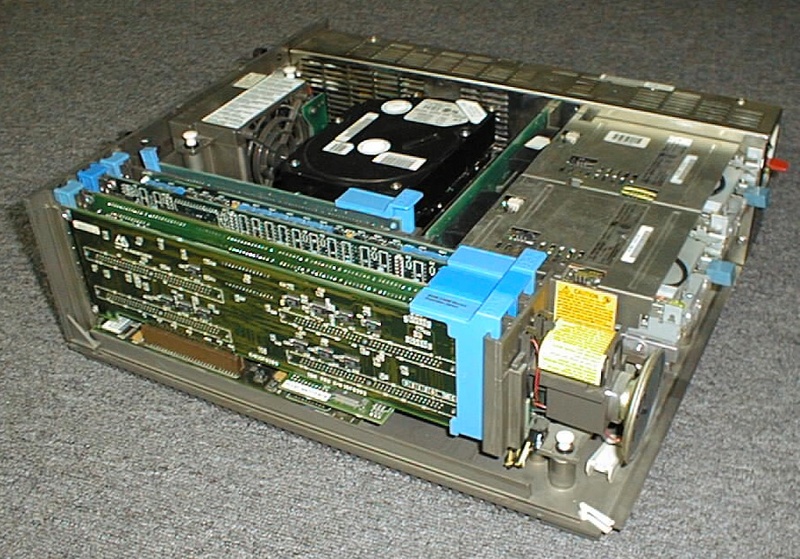 IBM therefore modified the 50's memory interface from one to zero wait states (that's what the 'Z' stands for) and replaced the drive with a 60MB ESDI drive. These modifications, especially the faster and larger drive, turned the 50Z into a nice little machine for light DOS-based interactive applications like word processing. The space inside the 50 is well used, except some space around the hard drive; maybe even a 5,25-inch drive would fit? To be honest, the ESDI controller cannot honestly be called a 'controller': The ESDI drive is of the 'integrated' type, i.e. the real controller is integrated into the drive's hardware and the drive's connector carries almost a full MCA bus. The controller only carries the BIOS and a few bus buffers. This controller is obviously not the adapter originally used in the 50Z - the 50Z's main BIOS already has support for ESDI drives, and the original 50Z adapter is an almost empty board (just a mechanical adapter). This variant with a BIOS extension was made as an upgrade option for the original Model 50 which doesn't have ESDI support in its main BIOS. This machine doesn't have the original 286 CPU. I upgraded it with an SLC/50 CPU module made by Kingston that gives a nice performance boost and allows to run 32-bit software. Originally, this module was made for 286 machines with a PGA socket for the CPU. IBM however switched to the cheaper PLCC case with the 50Z, so I had to unsolder the CPU socket and replace it with a PGA type. 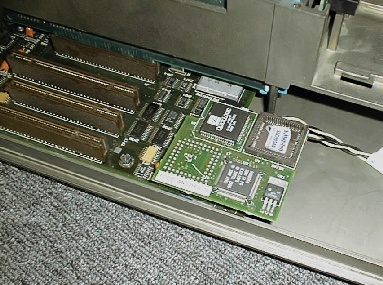 One could still put the 286 back in place because it is possible to put a PLCC socket on top of a PGA socket. 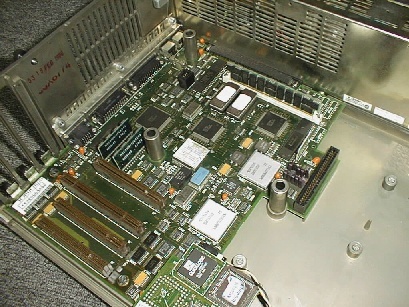 The module itself offers a slot for a 387SX coprocessor; you cannot keep a 287 coprocessor when upgrading. That's not as bad as it sounds since a FP emulation on a 50MHz CPU is almost as fast as an old 287.